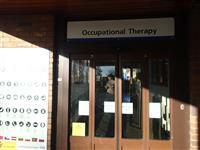 You are on Hospital Parking (Occupational Therapy Entrance Blue Badge Parking). Skip to the next section. 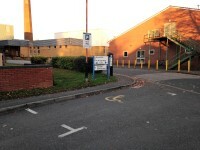 The car park is located outside the Occupational Therapy entrance and on the access road outside the Rheumatology Unit. 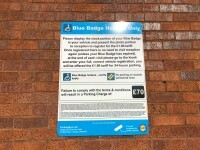 There is/are 11 designated Blue Badge parking bay(s) within the hospital car park. 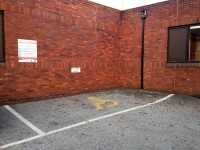 The dimensions of the designated Blue Badge parking bay(s) surveyed are 280cm x 600cm (9ft 2in x 19ft 8in). Payment signs are located at the far end of the car park. 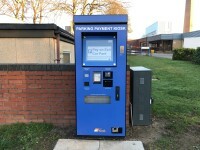 Payment machines are located at the front of the Rheumatology Car park entrance, just off the access road to the car park. 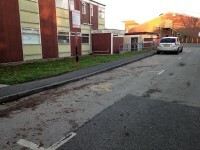 The nearest designated Blue Badge parking bay is approximately 10m (10yd 2ft) from the Occupational Therapy entrance. You are on Getting To (The Safari Day Unit). Skip to the next section. 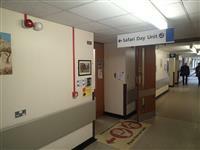 The Safari Day Unit is/are located on Level 2 of the main hospital building. 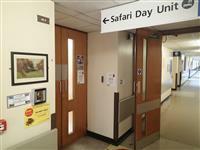 Access to the Safari Day Unit is via the the Occupational Therapy entrance on Level 2. 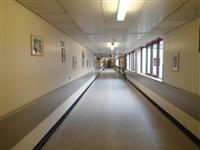 Enter via the Occupational Therapy entrance and turn right into the main corridor, follow this corridor and the Safari Day Unit is located on the left. There is ramped/sloped access to the Safari Day Unit. 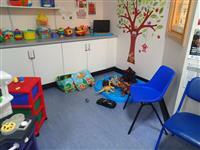 The Safari Day Unit is approximately 80m from the Occupational Therapy entrance. 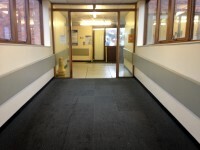 There is a/are manual, heavy, double door(s) between the Occupational Therapy entrance and the department/service. 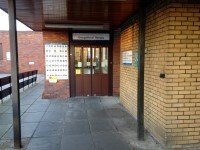 You are on Outside Access (Occupational Therapy Entrance). Skip to the next section. This information is for the entrance located at the rear of the main building. The width of the door opening is 106cm. The ramp/slope is located leading to the entrance from the Blue Badge bays and immediately beyond the entrance. The step(s) is/are located leading up to the entrance. 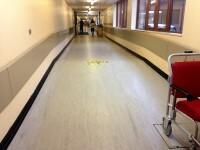 You are on Level Change (Main Corridor). Skip to the next section. 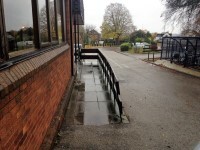 The ramp/slope is located in the main corridor to the left on entering. This information is for the entrance located on Level 2 of the main hospital building. The width of the door opening is 140cm. The reception desk is located to the left on entering the department. 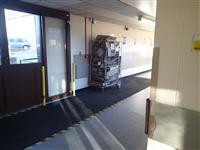 The reception area/desk is approximately 3m (3yd 10in) from the department entrance. The lighting levels at the reception area/desk are medium. The height of the reception desk is low (76cm or lower). 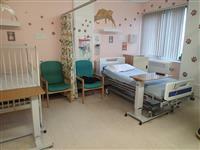 You are on Waiting Room / Area (Parents Room). Skip to the next section. 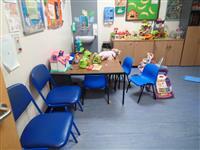 The waiting room / area is approximately 2m from the department entrance. Chairs with armrests are not available. You are on Consultation / Treatment Room (Treatment Room). Skip to the next section. 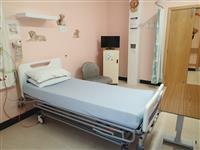 The consultation / treatment room is approximately 13m from the department entrance. The width of the door opening is 135cm (4ft 5in). A hoist can be brought in from another department. 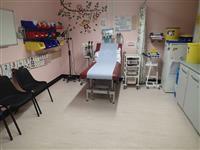 You are on Consultation / Treatment Room (Leopard's Den Day Unit). Skip to the next section. 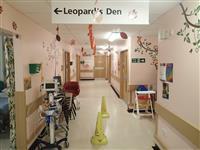 The name / number of the room surveyed was; Leopard's Den Day Unit. 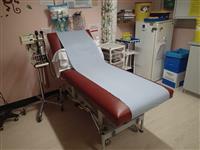 All chairs have armrests available. You are on Room / Area (Playroom). Skip to the next section. There is / are 1 room(s) / area(s) available. 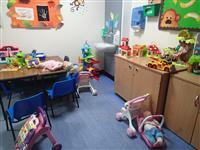 The name / number of the room / area surveyed was; Playroom. The room / area is approximately 9m from the department entrance. There is step free access to the room / area. There is a/are door(s) into the room / area. The width of the door opening is 132cm (4ft 4in). The room / area does not have background music playing. There is not a flashing fire alarm beacon within the room / area. You are on Room / Area (Single room). Skip to the next section. There is / are 4 room(s) / area(s) available. The name / number of the room / area surveyed was; Lion. 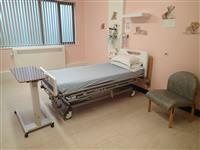 The room / area is approximately 31m from the department entrance. A sling is not available. This accessible toilet is located on the department corridor. 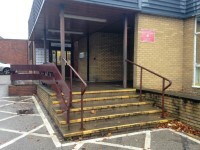 This accessible toilet is approximately 18m (19yd 2ft) from the department entrance. The dimensions of the accessible toilet are 148cm x 230cm (4ft 10in x 7ft 7in). There is not a flashing fire alarm beacon within the cubicle. The height of the towel dispenser is 123cm (4ft). The height of the soap dispenser is 110cm. Baby changing facilities are available within this accessible toilet. The shared toilets that were surveyed are located on the main department corridor. 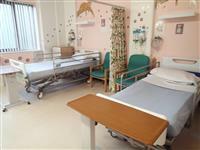 The shared toilet(s) is/are approximately 35m (38yd 10in) from the department entrance. 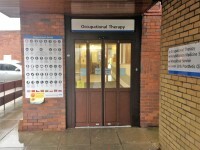 Occupational Therapy Entrance link (new tab) - click here.